The Francis mirror came from an experimentation: pigments vanishing on water. The result is a bright oxidation. Make up palette or ageing mirror? 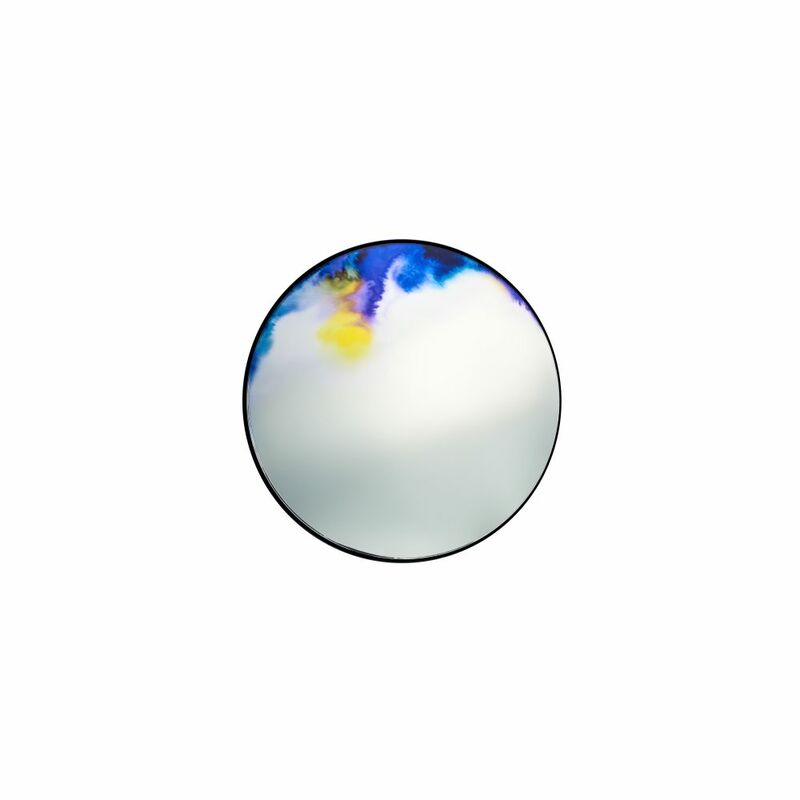 The wall mirror Francis evolved from an experience with pigmentation. The shifting colours on the periphery suggest the oxidation of antique mirrors or hues on a makeup palette.